I have been excited about the prospect of online classes when my kids get older but I did not know that there were online classes offered for their age groups. 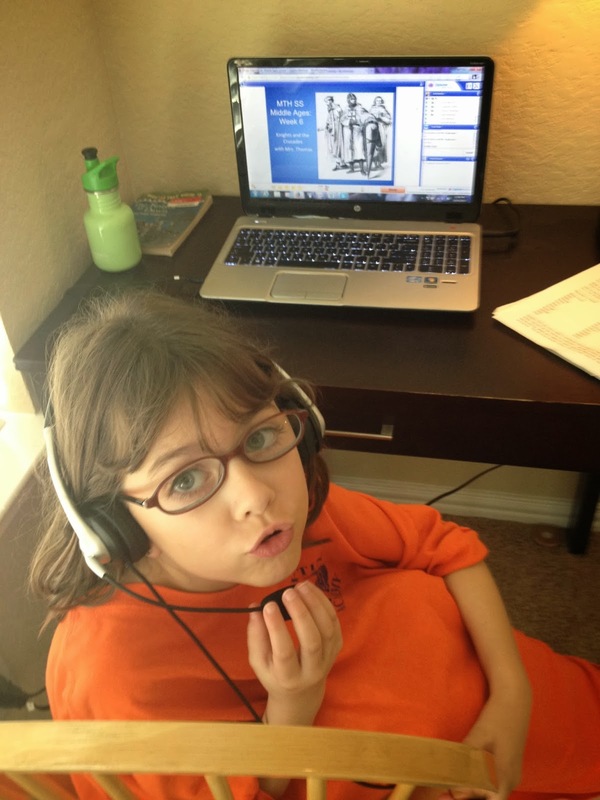 I was thrilled that Curly had the chance to participate in an online class with Bridgeway Academy studying the Magic Tree House book Knight at Dawn. As a bonus, this tied in perfectly with our history topic this year of the Middle Ages! 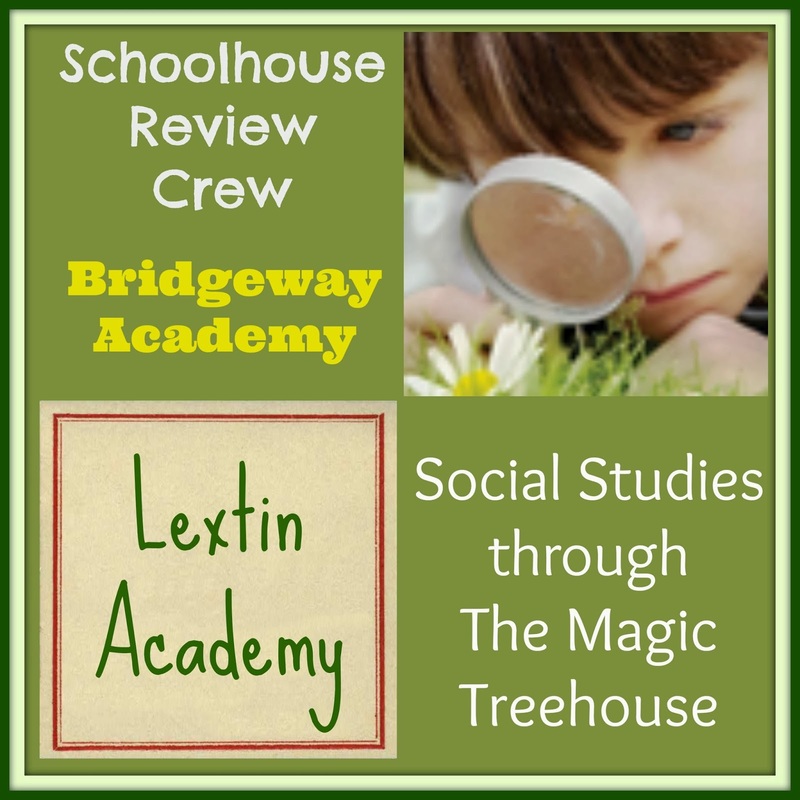 Bridgeway Academy is an accredited academy that offers homeschool support through advisors as well as online classes for students of nearly any age in a wide variety of subjects. One of the things offered by Bridgeway Academy is their learning labs which are 9-week classes taught weekly by a live instructor. 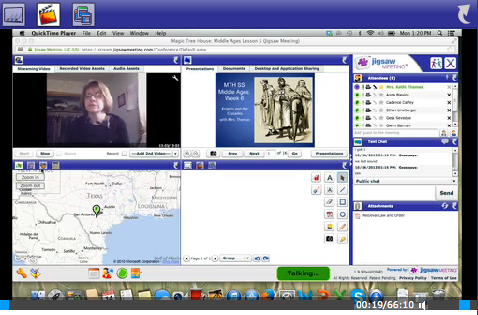 Students from around the world can participate in the weekly group class discussions, while completing the course work at home during the week. There are learning lab options for students from 1st grade up to 12th grade. We had the chance to review one of the labs for the elementary age. These elementary classes are for students in grades 1-5. The class meets once a week for 1 hour for a live class. Homework assignments, readings, and projects are assigned for completion outside of class. The tuition for the elementary level classes is $145 per class. These classes are outside electives that can be taken independently of enrollment in the full Bridgeway Academy program. Curly was able to participate in the Social Studies Through the Magic Treehouse class which was designed around the book, Knight at Dawn. The book was a required reading for the class and all discussions and materials from the class centered around the medieval time period in the book. This class was just for Curly (age 7)! She was excited to have something that she could do herself. Before the class started, they hosted an open house to let everyone sign on and test the software, ask questions, and learn about the class. I was so thankful for our practice session! We had problems with our microphone and my husband was able to work with our computer settings and get everything set up for our class. By our first class time, we had working microphones and Curly was able to navigate the software for the meetings. Class was every Monday from 12:15 PM – 1:15 PM (Central Time). Sometimes the class ran a little long because the kids were having such a great time discussing the material. It was adorable to hear all the little voices taking turns talking to each other! Curly attended the classes by herself (I was always nearby) but she insisted on answering questions, typing responses, and participating on her own. She attended each meeting and then we did the short homework assignments together. Usually she had some material to read and then questions to answer, and for one assignment they were each to build their own medieval castles out of the material of their choice. What did a meeting look like? Each week we would sign in to the virtual meeting software where Curly’s teacher was waiting for class to begin. She would let the students test their microphones out while they waited for everyone to sign in to class. Curly was timid the first few weeks and was unsure about speaking up when it was her turn, but by the end of class she looked forward to talking and participating! The teacher would introduce the material for the day – medieval food, castles, or daily life. A large part of the lesson centered on the slide show prepared by the teacher. Curly could enlarge the pictures and watch as the teacher went through each slide, giving information and then asking questions for the students to participate. The teacher also had video links for the students to view about the topics as well as other pictures and outside links. The students could participate in a variety of ways. The teacher would give the students a chance to talk on the microphone at times. Curly loved hearing all the other kids talk and she looked forward to her chance to answer questions. Sometimes the teacher would post a quick poll or multiple choice question. These questions would pop up in a small box on the screen and Curly only had to select her response and then submit. There was also a virtual whiteboard where the students could type or draw simple pictures. And there was a chat box where they could talk with each other, have conversations, or even talk privately with the instructor if they were having difficulty. There were numerous ways to participate in the class! 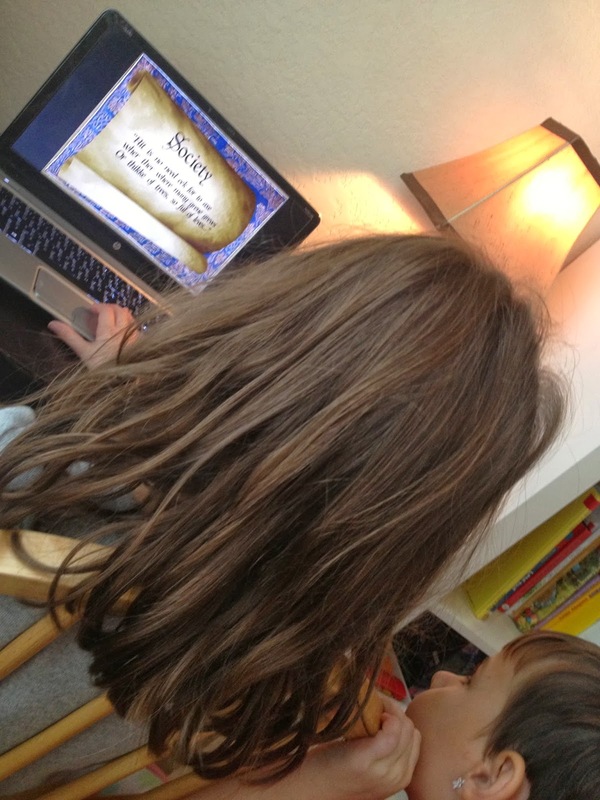 The teacher guided Curly through the steps for accessing videos, watching the slideshow, or clicking on outside links. Each class had a variety of different resources used in addition to the main text of the Magic Treehouse Book, Knight at Dawn. This book was to be read the first week of class and all the discussions from the class stemmed from the time period outlined in the book. There were often short homework assignments that included visiting websites or watching short videos. Some assignments had the student read short articles that contained information about the time period. Many of the assignments had questions for the student to answer and be prepared to discuss in the next class. I loved that Curly was able to do this class without any of my help! She was completely independent during class time once she had learned how to navigate the online meeting software. I did not realize how much I would enjoy that she could be taught by someone else – a someone else who had prepared for the class, planned activities, and was well-versed in the subject matter. What a nice break for me and a wonderful chance to Curly to exercise some independence! Curly enjoyed the discussions and I felt the material was on target for her age. Very little of the material went over her head and she was able to keep up well during class times. I wasn’t sure how a student of her age would handle an online class format, but she did very well and enjoyed the process. The instructor was very patient and helpful for the kids as they learned how to navigate the system. She answered questions, guided them in discussion, and encouraged them throughout the class. She was so kind and did a great job working with students who were young and sometimes a little off track during class time and discussions. The class used a nice variety of lecture with pictures, videos, outside links and articles, short assignments, discussions, and simple homework assignments. I enjoyed the variety of things offered in the class and Curly stayed very engaged during her hour-long class sessions! I was thrilled that the class held her attention and that she came away from each session talking about what she had learned about the time period. 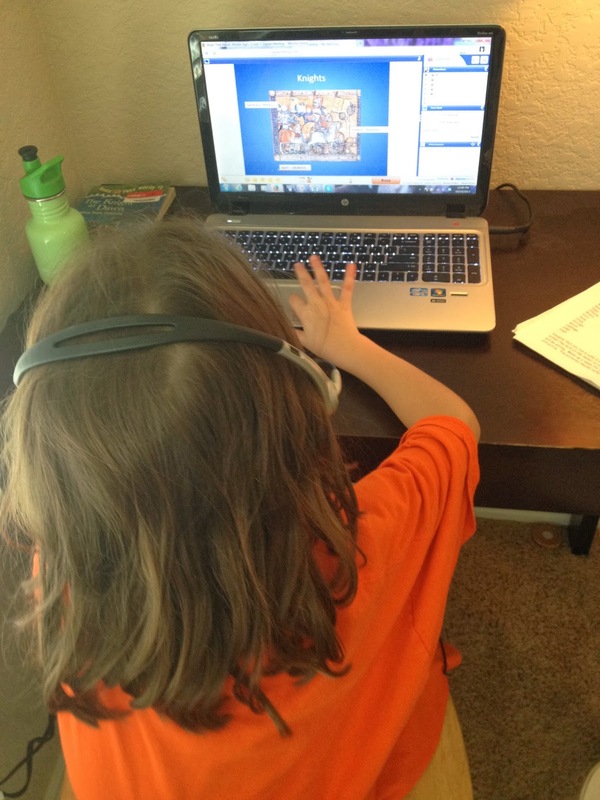 I had never before considered an online class for my kids-mainly because of their young ages. So I did not expect to enjoy the experience as much as we did! I loved that Curly had the chance to be taught by someone else. Can I be honest and tell you that I very, very much enjoyed the break? I was also thrilled that she had the chance to interact with other kids her age from across the country and even around the world. There were some fun kids in her class and their discussion was cute! I did not expect Curly to be able to attend the meetings on her own, taking responsibility for answering questions, manipulating the software, and then working on homework assignments independently. I was surprised at how well she did and was pleased to see how proud she was to complete the classes on her own and then work on assignments without reminders from me. I was so pleased with the class – the patience of the teacher, the great explanations, the engaging material, as well as the self-confidence and responsibility the class instilled in Curly and how much she looked forward to the class. I hope we are able to take more classes in the future! Read other Crew Reviews of Bridgeway classes!